"Microsoft PowerPoint Template and Background with green abstract vector background" At times activity can be at a fever pitch. Be calm,cool and collected with our Green Abstract Background PowerPoint Templates And PowerPoint Backgrounds 0411. Lead teams with our Green Abstract Background PowerPoint Templates And PowerPoint Backgrounds 0411. Download without worries with our money back guaranteee. "Microsoft PowerPoint Theme and Slide with abstract art design Slide" Accomplish success with our Abstract Vector Background PowerPoint Themes And PowerPoint Slides 0411. Download without worries with our money back guaranteee. Achieve high-performance with our Abstract Vector Background PowerPoint Themes And PowerPoint Slides 0411. They will make you look good. "Microsoft PowerPoint Template and Background with abstract art design background" Convey your message in an exact manner. Enable accuracy with our Abstract Vector Background PowerPoint Templates And PowerPoint Backgrounds 0411. The look of our Abstract Vector Background PowerPoint Templates And PowerPoint Backgrounds 0411 is no meer facade. There is depth and dimension to their appearance. 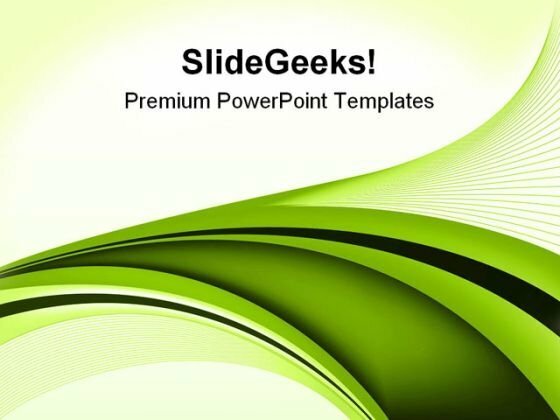 "Microsoft PowerPoint Theme and Slide with green abstract vector Slide" Get on the carousel with our Green Abstract Background PowerPoint Themes And PowerPoint Slides 0411. Your ideas will begin to go around. With our Green Abstract Background PowerPoint Themes And PowerPoint Slides 0411 the goal is never far away. Your thoughts will always dribble through.